With company’s like 3DR and GoPro now out of the picture and all of the restructuring going on in recent months from Autel, Yuneec and Parrot. DJI continues to produce the best new drones on the market. In the last couple of years alone, DJI has continued to improve reliability, flight times, camera quality and even lower their prices. Their latest drones are getting smaller, smarter and more affordable. The competition is under pressure to create something better, instead most are scrambling just to keep up. However, Many quadcopter manufacturers have stepped up to introduce a good number of new drones for 2019. These flying machines have the latest in drone tech and cutting edge features. With more and more people interested in aerial photography and flying drones for fun, DJI along with other drone manufacturers are starting to make drones that appeal to more mainstream consumers in terms of price, features and portability. Some of these new drones are from company’s you recognize and others you may not have heard of yet, but they can offer Drone buyers a few more choices in a Dji dominated market. 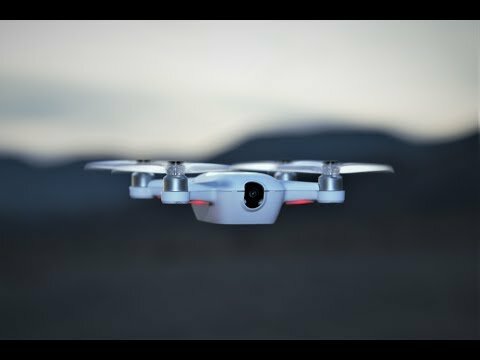 So let’s take a look at what new camera drones have to offer in 2019. So What’s In Store For 2019 And Beyond? The Mavic Air is currently available at Amazon.com and from the DJI Store. Tello is a drone from Chinese firm Ryze Tech in collaboration with Intel and DJI. Offers 13 minutes of flight time between charges, a 360-degree camera that takes 5MP snaps and videos, with live streaming capabilities and a simple-to-use control system for youngsters. A feature unique to the Tello is the use of Scratch (Simple, Block-based visual programming) and SDK (Software Development Kit – for more advanced users). A really cool mini drone that’s fun to fly, has an affordable price and can help inspire younger people with an interest in STEM (Science, Technology, Engineering and Math) a way of learning about coding logic and robotics. With EZ Shots, users can fly in three specific patterns while recording short videos. You can launch it from your palm and control it with hand motions. The TELLO Drone is currently available at Amazon.com and the DJI Store. 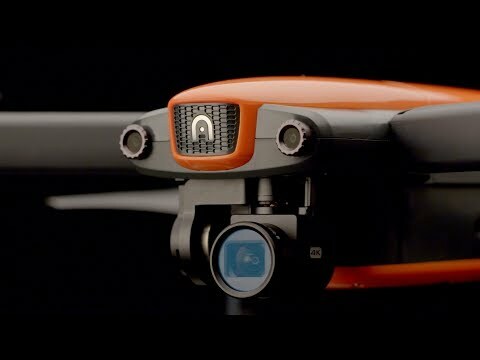 The French drone company Parrot has just introduced the ANAFI Drone. A new drone designed to meet four essential needs: Image quality, flight performance, foldability and ease of use. ANAFI has a 4K HDR camera with 2.8x lossless zoom and a 21MP sensor. The first drone equipped with a 3-axis gimbal stabilizer that has 180 degrees of vertical tilt freedom. This means, not only can this drone look straight down, it can also look straight up. ANAFI has a 25 minute flight time and a range of up to 2.5 miles. The Geofence option lets you define your own virtual perimeter, stopping ANAFI from flying out of a designated area. All the controls and features are accessed through the drone’s new app: FreeFlight 6. You can charge the drone’s smart battery with a power bank or with the USB Type-C charging system from your smartphone or computer. Zoomable camera, You can magnify up to 2.8x in “Lossless” mode for 4K. Parrot has developed a small folding drone that offers 4K HDR video and a gimbal-mounted camera that can see upwards, which is different. However, it has no internal memory outside of the microSD slot and no obstacle avoidance. Really not much of a threat in price or features compared to the popular DJI Mavic Air. Expected to ship early July 2018 for $699.99. The battery can be swapped out, extras will cost $99. 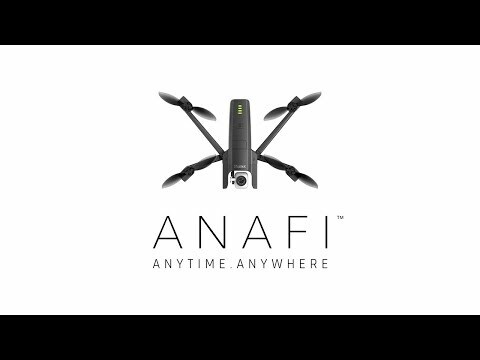 You can order the ANAFI Drone today on Parrot.com and also at Amazon.com. 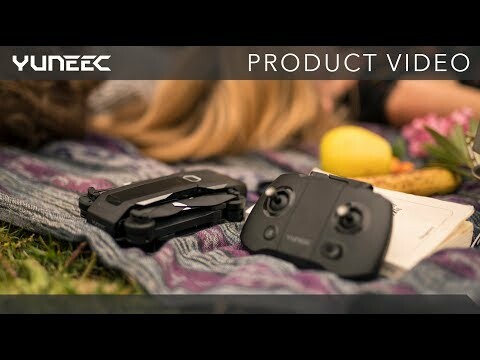 Yuneec has introduced a new contender for the DJI Mavic Air in the form of the Mantis-Q a foldable compact drone that can be used with some simple voice commands. The Mantis Q recognizes a wide variety of voice commands, including take off, take a picture, record video, wake up, return to home and take a selfie. Improved facial recognition and gesture mode enables the Mantis Q to take a picture of you if it spots you smiling or waving within a range of 13 feet. Down-facing dual sonar sensors and infrared detection make it safe enough to fly indoors and outdoors. 4K camera can be tilted upwards 20 degrees and downwards by 90 degrees during flight. The Mantis Q was developed to offer the most cutting-edge, advanced drone features, including facial detection and voice control, in a package that’s ultra portable and easy to use. You can Pre-order it now! Due to ship in September with a price tag of $499.99. A Mantis Q X-Pack will also be available for $649.99 and includes the Mantis Q drone, the controller, 3 batteries, spare propellers, a three-port charger, a USB cord, power cable, and a travel shoulder bag. The company Halo Board headquartered in Los Angeles California, designed the Halo Drone, their first drone for the consumer market. The Halo Drone has some nice features, but in this price range, just under $1,000, Obstacle avoidance should be one of them. Find out more about the HALO DRONE by visiting their website. GDU Technology based in Shenzhen, China, created the world’s first foldable drone, the GDU BYRD Drone 1.0, which was nominated for a 2016 CES Innovation Award. 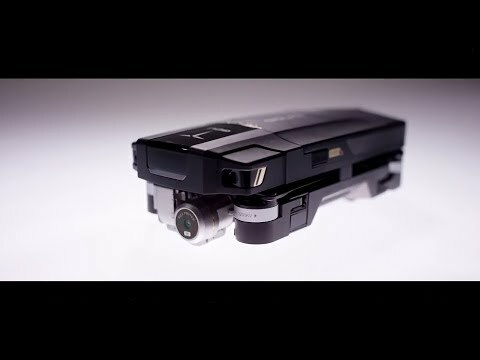 The GDU O2 has been labeled the “MAVIC KILLER” and has a couple unique design features. Sliding-arms made from aviation aluminum alloy that hide the props inside the body. The controller slides into a space under the folded drone so users can easily put them together in the GDU carry bag. Come’s with One of the world’s smallest 3-axis stabilized camera gimbals that can capture amazing footage in 4K. along with dual obstacle avoidance sensors and all the usual smart flight modes, including gesture recognition. Use the V Gesture to take photo and show your Palm to take video. The new GDU mini app for O2 allows you perform all smart functions, and access to its built-in Editing and Sharing function. Skydio is another California-based company looking to challenge DJI’s dominance. The R1 has a 16-minute battery life and the ability to track and film a subject in 4K, while cleverly navigating any environment and reaching speeds of up to 25 miles per hour. 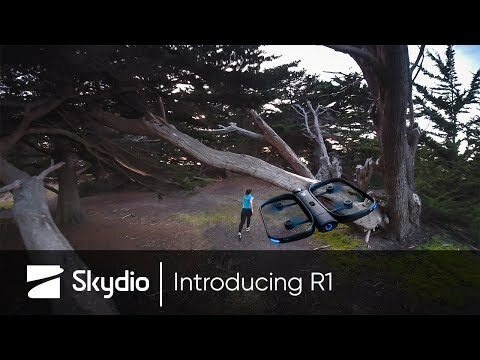 The R1 is all about autonomous flight, All you need to do is pick what filming mode you want and the R1 will take off, fly on its own, find you, and track you. The drone has 13 cameras onboard—one 4K camera for recording, and 12 cameras positioned around the drone that help it sense the world and navigate through it in real time. As you can see from the video above, Skydio is targeting serious sports enthusiasts, the kind of people that want to shoot high-quality video without having to worry about piloting their drone. The R1 is built entirely from American labor and American parts, which is great, but with a price tag of $2,500, it’s just too pricey for most casual drone users. Autel Robotics has announced the EVO Drone, another foldable quadcopter packed full of intelligent flight features and equipped with a top quality 4K camera. 3D Software allows EVO to create a 3D environment and reacts to obstacles that are in the way, but the EVO won’t just stop after noticing an obstacle but will actually go around it. The Bolt is an easy-to-fly and affordable solution that makes FPV drone piloting and racing accessible to everyone. The package includes the bolt racing drone, controller, display monitor and headset. Allowing you 3 ways to fly the Bolt- line of sight, FPV piloting, and virtual reality. Simply slide the screen into the goggles for FPV piloting & racing or attach it to the controller for recreational flying. Has an onboard HD camera with a wide angle 120 degree lens. A flight time of 12 – 15 minutes per fully charged battery and a top speed of approximately 30 mph. 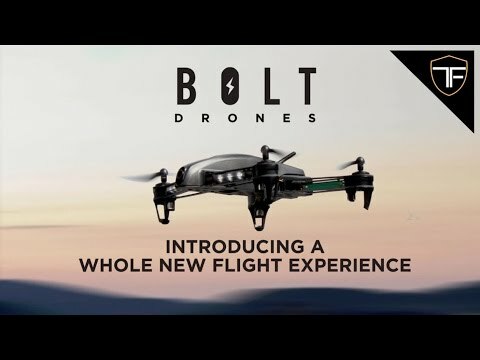 See what the BOLT Drone has to offer…. Starter package is available for $199.00, add accessories like an extra battery and backpack bump’s it up to $259.00. The Hubsan H122D X4 Storm is another combo package that integrates the features of a racing drone and a FPV quadcopter. 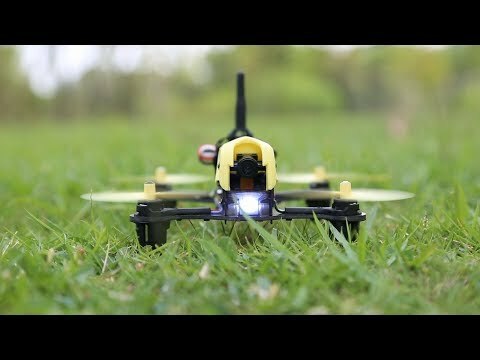 An affordable racer for beginners or novice that want to try FPV flying. Comes with a 5.8G FPV Monitor and HV002 FPV Goggles. The Hubsan H122D X4 Storm has a 720P HD camera mounted on a durable carbon fiber frame with a flying time of around 6-8 minutes. The detachable LCD design allows you the option to use the goggles or install the screen on the transmitter for FPV. This is the first racer from Hubsan and the first racing drone with follow me and orbit options. Word is they have another new racing drone model due for release soon the Hubsan H123D Racing Drone. 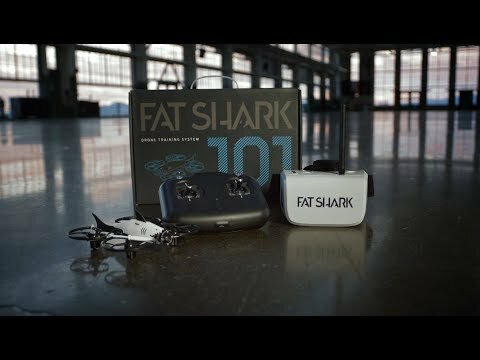 FATSHARK, a company best known for their FPV Racing Goggles has put together a quadcopter racing kit called the Fat Shark 101 with everything you need to get started in the sport of drone racing. The kit includes a custom-designed quadcopter, Recon goggles and a professional-grade radio that can also be used with an online simulator so you can practice flying with zero risk. Although the kit is designed specifically for drone racing, beginners can have a lot of fun just flying it around. There are beginner, intermediate and pro modes that give you more piloting control as your skills get better. Along with the quad, radio and FPV goggles you get: Two batteries and a USB charger, Two spare motors and four spare propellers, Two gates and gate holders, Lens cloth, Radio USB cable for flight simulators and Quick start guide. If you want to get into drone racing. For around $250. The would be a good choice for learning the basics. The UVify OORI is said to be the world’s first smart racing drone and also claims to be the world’s fastest micro drone with speeds of 50 mph. The OORI’s circular LED badge can change to just about any color with the push of a button, so that it’s easy to tell your’s apart from others when racing. Has lock-on, pop-off prop protection which is good for beginners. Equipped with a multitude of sensors, this drone will hold its position in mid-air so that you can focus on your flying skills without having to worry about crashing. The OOri FPV Micro Racer is a drone for everyone. Easy to control, fun to fly, and most of all, fast. Its compact design can easily fit in the palm of your hand and is the optimal size for racing. The New Warp 9 racing drone is the latest racing drone designed by San Francisco-based startup UVify, makers of the well known Draco and Draco HD drones. The Warp 9 racing drone is designed for fast battery changes during racing. The Warp 9 offers a perfectly balanced center of gravity allowing incredibly precise and accurate control. It has built in landing pads which offer a 15 degree launching angle and comes equipped with a GoPro Session camera mount. 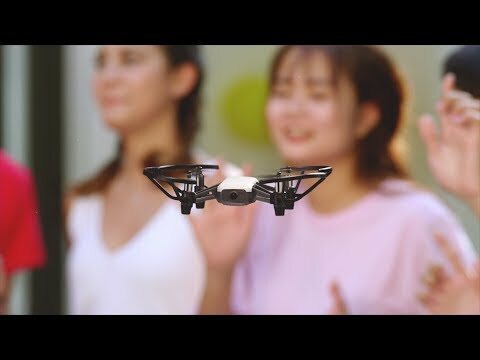 The tiny AEE Selfie drone is the First-Ever flying phone camera case that features “high-end stabilization technology” and is capable of capturing 13MP images as well as HD videos. It can detect faces and make them the focus of its shot, or shoot in panoramic mode for higher-altitude selfies and videos. When not in use, Selfly folds into a 9mm (3/8-inch) thick phone case. It’s compatible with nearly all 4- to 6-inch iOS and Android smartphones, has a flight time of four minutes and takes 30 minutes to recharge. The Selfly Drone is expected to go on sale sometime this summer for around $130 USD. Visit Aeeusa.com for more details and information on other new models “Coming Soon” from AEE Technology Inc. The original AirSelfie started as a Kickstarter project back in 2016, had a 5-megapixel camera and a 4 GB SD card. The new model called AirSelfie2 offers a 12-megapixel camera, 16 GB of on-board memory, a longer battery life and an upgraded smartphone app that works with most iOS and Android devices. Has the same compact shell now available in four different colors, silver, black, gold and rose gold. It’s controlled by a phone app and features options you wouldn’t expect in a drone this size, like the ability to hover in one spot. The main purpose of the drone, as its name suggests, is to scoot up into the air and take selfies of you and your friends. But it can also be used to fly around like a normal drone. The AirSelfie2 drone will be available through airselfiecamera.com for around $300. Drone technology is constantly changing and improving. There are many company’s trying out new designs and applications. Like the Pitta and AirSelfie2 Drones above, Crowd funding sites are popular venues for new drones. Here are a few new drones currently in the pipeline. New Drones are smaller, safer and easy to use, not to mention cheaper. This has made them more appealing to the mainstream consumer in recent years. 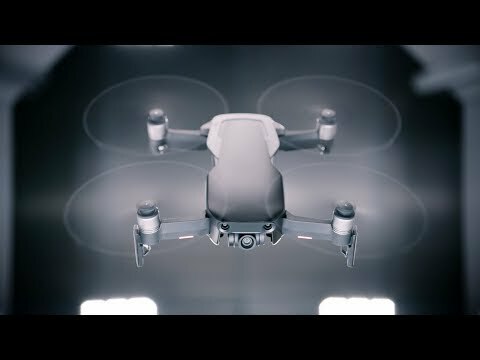 Dji has clearly set the standard for Consumer Drones with the New Mavic Air and with the lack of any real competition, they will probably continue to be a market leader for years to come. Anyway, As you can see, there are several company’s introducing new drones. It will be interesting to see if any of these models can compete with the current DJI Models, It seems evident, most of them can’t compete price wise and many still lack the array of options found on DJI drones.